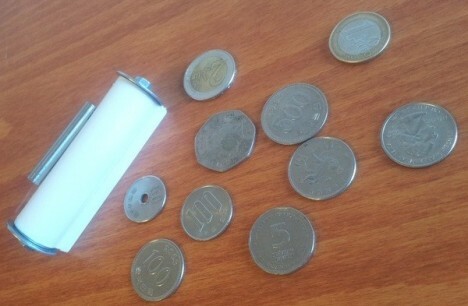 Roll-up keyboards have become increasingly available and affordable in recent years, but none have been quite so small as the Qii, which packs down to the size of a roll of coins. It rolls out like a tape measure, can be laid on nearly any surface and connects to devices via Bluetooth. The flexible material it’s made from also ensures durability – you can spill drinks on it, drop it repeatedly or even hit it with a hammer and it’ll be fine. 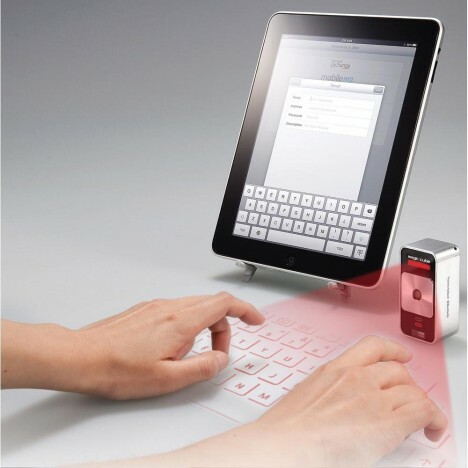 The Celluon Magic Cube is another laser projection keyboard that creates a virtual, full-sized keyboard on any flat surface. It’s compatible with smartphones, tablets and laptops that have Bluetooth, charges via USB, and doubles as a multi-touch mouse. Not a fan of the QWERTY layout? Want something more intuitive? You could custom-build your very own modular keyboard with the ‘Puzzle Keyboard,’ a concept that enables you to move the individual keys wherever you want them. 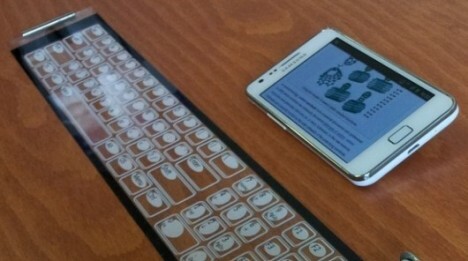 Inspired by jellyfish, this one-handed keyboard enables you to use just a few keys in various combinations to perform basic keyboard functions. The idea has been around since 1968, but this particular design by Erik Campbell aims to enhance usability with a comfortable grip that’s easy on the hand, reducing stress on the fingers when typing. That makes it a particularly good option for people with physical limitations. Once you learn how to use it, it’s possible to type faster than you’re typically able to on a regular keyboard. 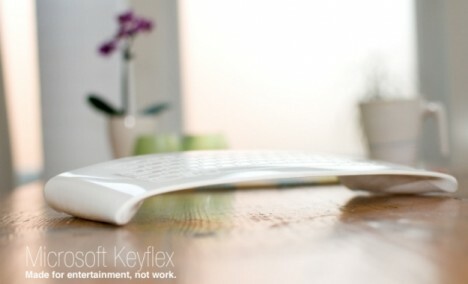 Bend, squeeze twist and flex this unusual keyboard design to perform functions like raising and lowering volume or to ‘share’ and ‘like’ things on Facebook. 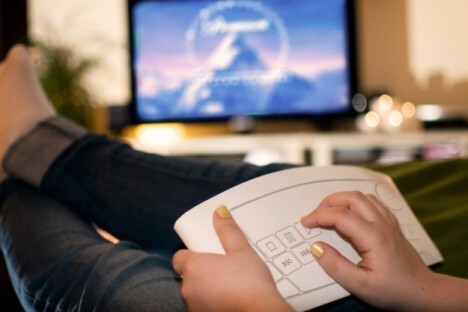 It’s kind of like a gaming controller for social networking, intended for those times when you’re just hanging out watching movies, talking to friends online or surfing the web rather than doing work.